We hope that you will find our premises a warm and friendly place to visit, whether you are discussing future plans for yourself, or making plans following a death in the family, we are on hand to guide you through the hardest of times, and give you sound advice on all the decisions that you will need to make. We have an open-door policy from 9-5 Monday to Friday, and at all other times by arrangement, including home visits. 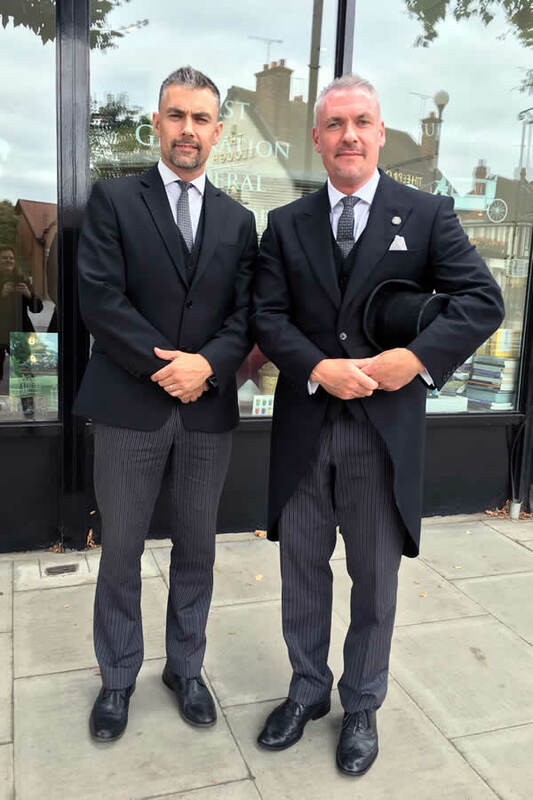 As an independent funeral director, we can help you devise exactly the goodbye you want and need. We consider it a real honour to be able to do this for you. From the moment we collect your loved one, they become part of our family. We look after them with gentle care and utmost dignity. Depending on the time frame and the type of service you have planned there will be various options that we discuss with you. If you would like to view, it may be necessary to embalm, although this is not always the case. If you intend to have an open coffin at the funeral, further makeup and preparation may be required. If you would like to help with the preparation and dressing, this can be arranged. We are always happy to accommodate a particular religious or personal preference and will involve trusted specialists if you need us to. We offer a small chapel or visiting room, and a comfortable family room where you can come and spend time with us or your loved one at all stages of the process, and beyond. Where tradition dictates, this room can be used for a final goodbye, extra blessing or religious service with a minister of your choice prior to the actual funeral. This year, we are running a series of Saturday open-day workshops to invite people in to meet us and to dispel some of the myths surrounding death and dying. We are also happy to run this programme on request if you need.